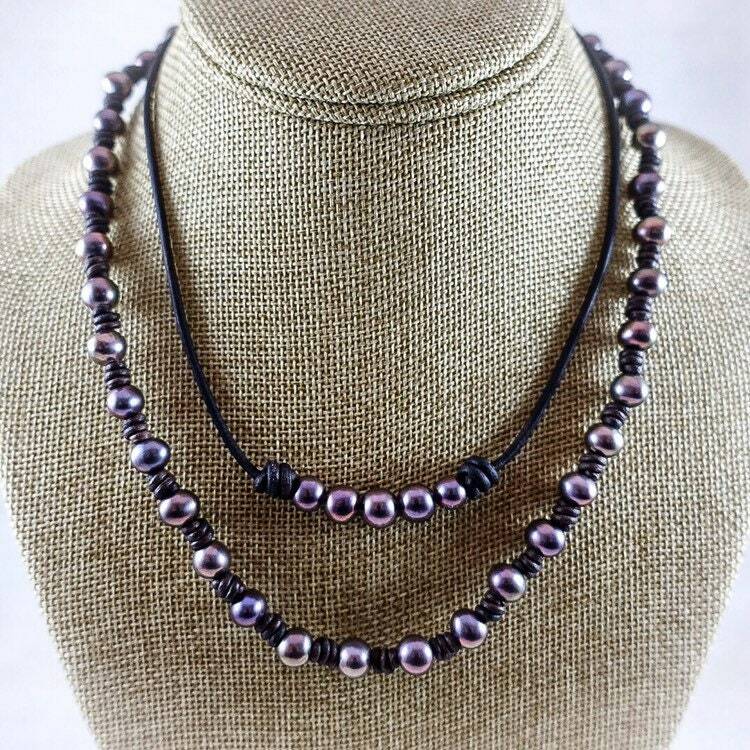 Deep rose-colored, freshwater pearls are strung on knotted, black leather. 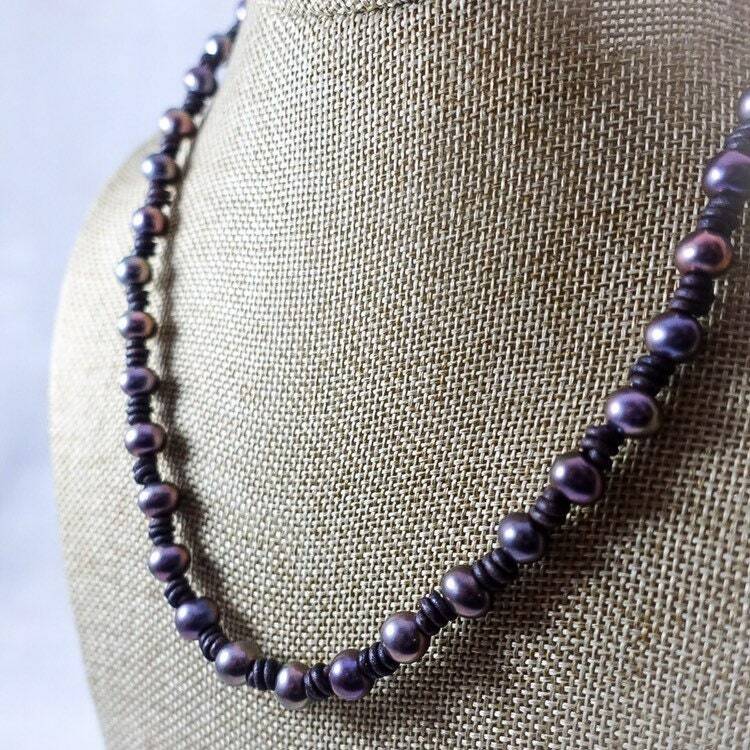 These pearls are beautifully unique in tone; looking purple in some lighting and emitting a pink-hue in others. 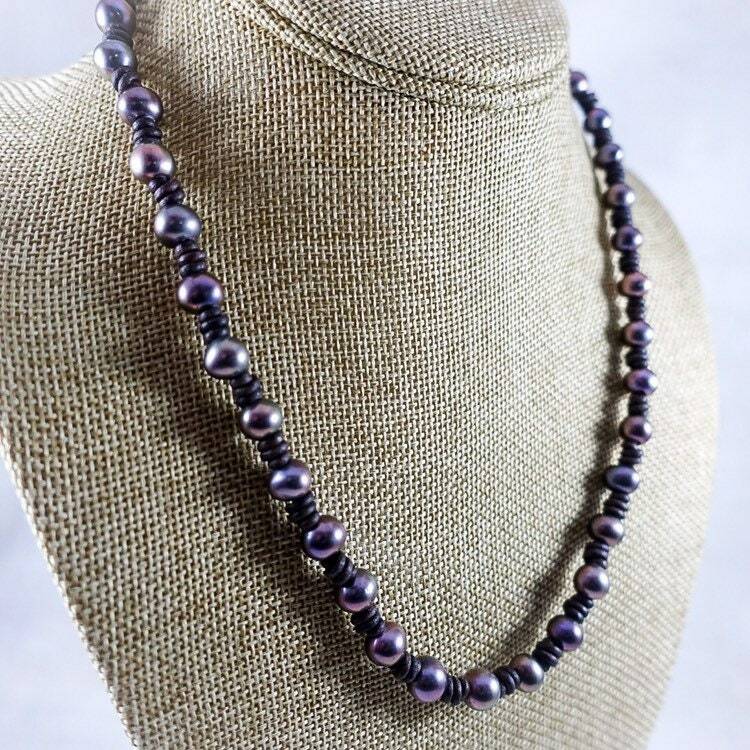 Ideal for layering, perfect for every occasion. 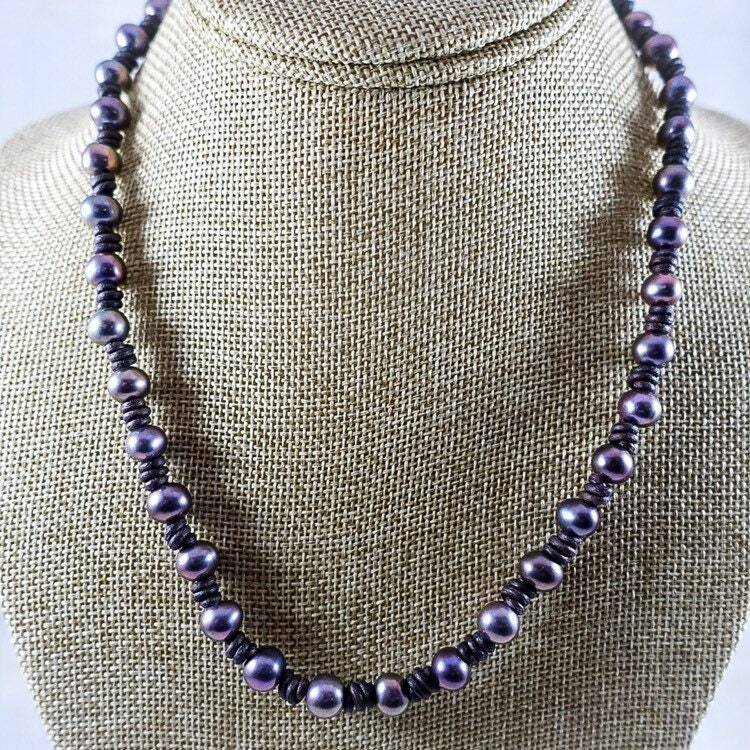 With a button-hole clasp, this necklace is 18 inches. Priced at $130.